The light green leaves have a sweet, fruity scent and flavor. 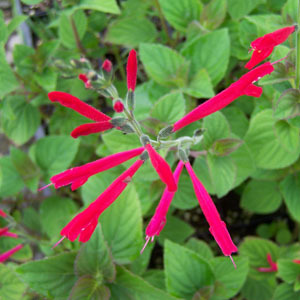 The growth is compact and the deep red flowers appear throughout the summer. A nice plant for teas and hummingbirds. Categories: All Items, all potted plants, butterfly nectar plants, culinary herbs, hummingbird plants, Potted Plants, More..